I don’t envy him. This is an enormous burden. Israel faces numerous existential threats – one false move and everything can fall apart… Life and death hangs in the balance and it his choices that are the deciding factor. Agree or disagree with his decisions, the statement Benjamin Netanyahu made tonight, and has made repeatedly in the past, is an admirable statement of responsibility. These are the words of a leader. Responsibility is important. Personal responsibility is the difference between a child and a grown up. I think that truly taking responsibility for the lives of your people can be considered the difference between a leader and a politician. May Israel’s Prime Minister choose wisely. 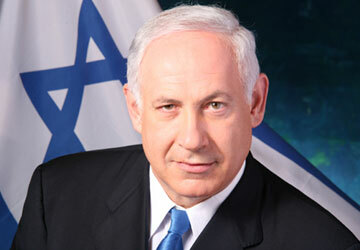 The people of Israel are counting on him now, more than ever.